Posted on October 12, 2018 at 12:00 am. With a staggering one in four us experiencing a mental health issue at some point in our lives, Nottinghamshire YMCA invited staff, volunteers and casual workers to take an hour out of their work schedules to mark this year’s World Mental Health Day. 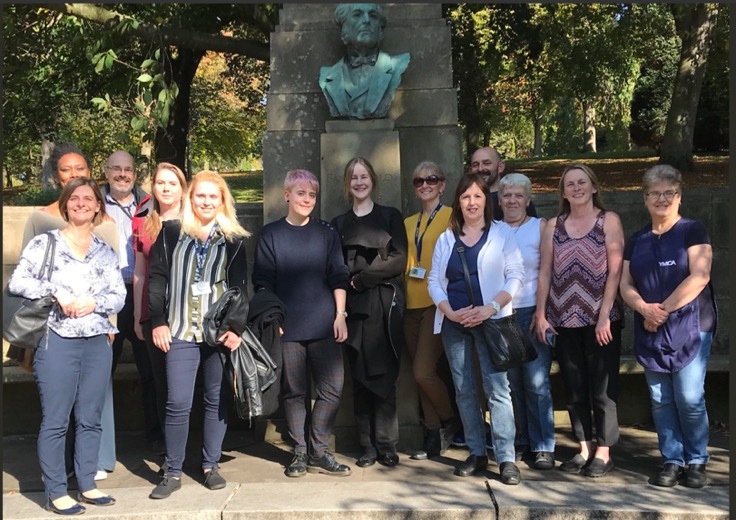 Team members were invited to take a #WHOLEhour away from life pressures to join together for a leisurely Wellbeing Walk around Arboretum park, in Nottingham, from 12.30pm-1.30pm on Wednesday 10 October. The Wellbeing Walk was held as part of the annual #IAMWHOLE campaign, which is a national movement calling on individuals to stand together and be united against negative stereotypes and language surrounding mental health. Despite increased awareness and recognition, young people all over the UK are still subjected to stigma as a result of the mental health difficulties they are experiencing. Organised by YMCA England and Wales, the #IAMWHOLE campaign aimed to raise increased awareness of mental health by asking people to ‘take a #WHOLEHour’ out of their day to do something to support positive wellbeing. “Looking after your mental health is very important,” said HR Advisor Emma Hodgett, who recently launched a programme to promote staff wellbeing in the workplace. “Every person is different – what works for one person may not be right for another. It’s all about finding the positive triggers that boost your own mental health and making sure you find time to look after your overall sense of wellbeing. – Indulging in your favourite hot drink and treat of choice!